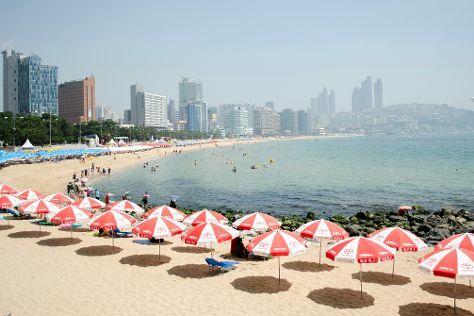 Get outdoors at Hamdeok Beach and Geomunoreum. Your itinerary includes some good beach time at Gimnyeong Seonsegi Beach and Woljeongri Beach. There's much more to do: kick back and relax at Gwakji Gwamul Beach, tour the pleasant surroundings at Sarabong Park, Head underground at Manjanggul Cave, and ride a horse along Jeju Tourist Horse Riding. 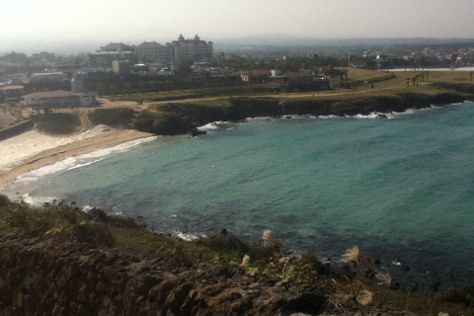 To find traveler tips, reviews, maps, and other tourist information, you can read our Jeju day trip planning site . Brussels, Belgium to Jeju is an approximately 17.5-hour flight. You can also do a combination of train and flight; or do a combination of flight, taxi, and ferry. The time zone changes from Central European Time to Korea Standard Time, which is usually an 8 hour difference. Prepare for a bit warmer weather when traveling from Brussels in July: high temperatures in Jeju hover around 33°C and lows are around 26°C. Finish your sightseeing early on the 15th (Sun) so you can travel to Changnyeong-gun. Start off your visit on the 15th (Sun): look for all kinds of wild species at Upo Wetland. To see ratings, other places to visit, traveler tips, and tourist information, go to the Changnyeong-gun road trip planner. The Route module can help you plan travel from Jeju to Changnyeong-gun. In July, daytime highs in Changnyeong-gun are 33°C, while nighttime lows are 26°C. Finish up your sightseeing early on the 16th (Mon) so you can travel to Busan. Start off your visit on the 16th (Mon): stroll through Busan Olympic Park, then tour the pleasant surroundings at Songjeong Beach, and then kick back and relax at Haeundae Beach. Plan trip to Busan with our itinerary maker to find out where to go and what to do. Use the Route module to find suitable travel options from Changnyeong-gun to Busan. Traveling from Changnyeong-gun in July, you will find days in Busan are slightly colder (29°C), and nights are about the same (28°C). Wrap up your sightseeing by early afternoon on the 17th (Tue) to allow enough time to drive to Gangneung. 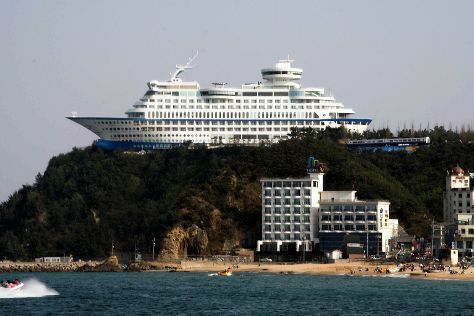 A large coastal city, Gangneung has been historically separated from much of the country because of the long, stretching mountain range that runs parallel to the sea. Start off your visit on the 18th (Wed): get curious at Jeongdongjin Time Museum and then stroll through Jeongdongjin Beach. For reviews, more things to do, ratings, and other tourist information, you can read our Gangneung trip builder site . Traveling by car from Busan to Gangneung takes 4.5 hours. Alternatively, you can do a combination of flight and bus; or do a combination of flight and train. Traveling from Busan in July, you can expect nighttime temperatures to be little chillier in Gangneung, with lows of 24°C. Wrap up your sightseeing on the 18th (Wed) to allow time to take a train to Seoul. Your cultural itinerary includes sights like Gyeongbokgung Palace and Changdeokgung Palace. Get outdoors at Cheonggyecheon Stream and Bukhansan National Park. Next up on the itinerary: take some stellar pictures from N Seoul Tower, get a taste of the local shopping with Myeongdong Shopping Street, get engrossed in the history at National Museum of Korea, and don't miss a visit to Insadong. For other places to visit, reviews, maps, and other tourist information, read our Seoul trip planner . Getting from Gangneung to Seoul by train takes about 2 hours. Other options: drive; or take a bus. In July, daytime highs in Seoul are 34°C, while nighttime lows are 26°C. On the 22nd (Sun), wrap the sightseeing up by early afternoon so you can travel back home.